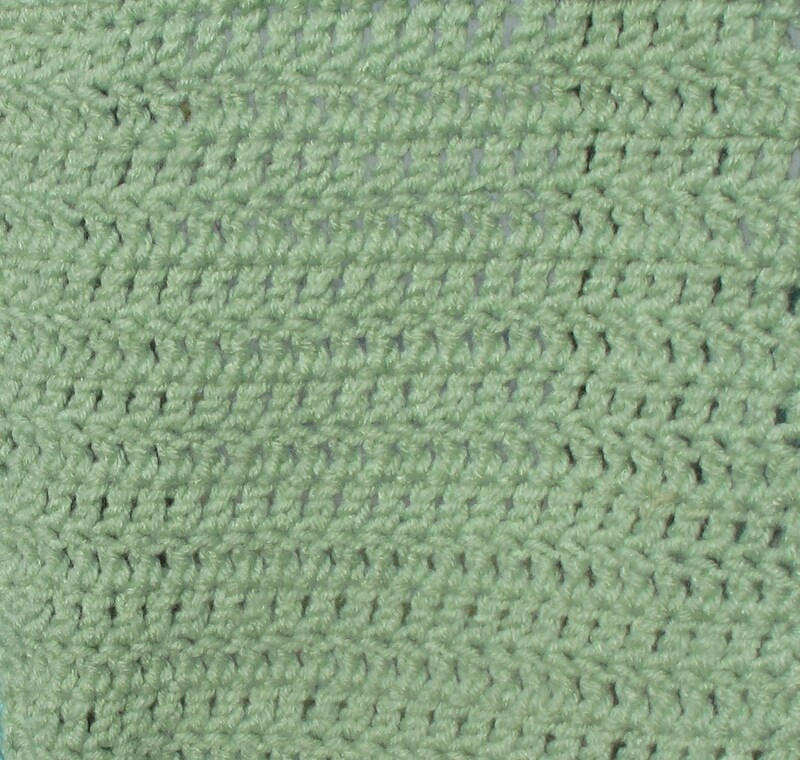 The Double Crochet was exchanged for the Moss Stitch for the the 1st square, to allow beginners time to work their way up to more difficult stitches. Materials: Size J hook and worsted weight yarn in kid friendly color(s) (need about 20 oz for whole blanket, or 3-4 large skeins depending if you want 1 or 2 colors). Single Crochet (sc): Insert your hook into stitch, YO (yarn over), pull hook out of stitch. You should have 2 loops on your hook. YO, pull through both loops. Double Crochet (dc): YO, insert your hook into stitch, YO, pull hook out of stitch. You should have 3 loops on your hook. YO, pull through 2 loops. YO, pull through 2 loops. This pattern is now exclusively available in the ReCrochetions Presents: Rowan’s Learn to Crochet Sampler Afghan Book. Available in Right and Left-handed Editions (see links -->). The book also contains 4 more simple baby blanket patterns and a newborn hat, and 30 complete step-by-step tutorial. 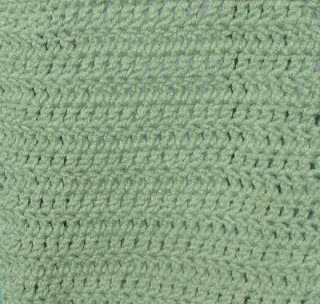 Most patterns for creating rows of double crochet stitches will instruct you to begin a new row with, "Ch 3, skip 1st dc (ch 3 counts as 1st dc)". However, I find skipping the first dc leaves rather large, unsightly holes in my work. In order to avoid this, I always chain 2 and do not skip the 1st stitch. The extra chains do make the sides less even, but it is not noticeable if you will be working around the edges. So, with the exception of a few stitches where the skipped stitch does not leave a hole because of the nature of the stitch, my patterns will not instruct you to skip the stitch. I must have seriously screwed something up. I'm at 15 rows but only 6.5". I'm guessing I should just keep going until I hit 8.5"? Yep. Keep working until it measures square. I originally had "15 rows or until piece measures square" but wanted to keep it simple. My tester has had that problem with a couple other squares, so I'm planning to reccomend that for all the squares. Thanks for the input!